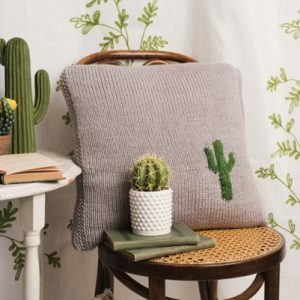 Make a decorative rug, pillow, or other home accent with this collection of knitting patterns for home decorating. Featuring a single Saguaro cactus, the negative space around it echos the sparse vastness of the desert. The simple, clean construction of one large piece tapers to a point with a button hole. Since there is only one piece of colorwork in the pattern and only two colors, this is a fantastic project for beginners. This pillow is as comfy and cozy as a dollop of honey in hot tea. 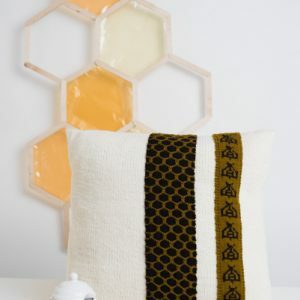 Celebrate our pollinator friends with some honeycomb texture as well as some cute colorwork bees. The body of the pillow cover is in worsted weight stockinette for easy quick mindless knitting. 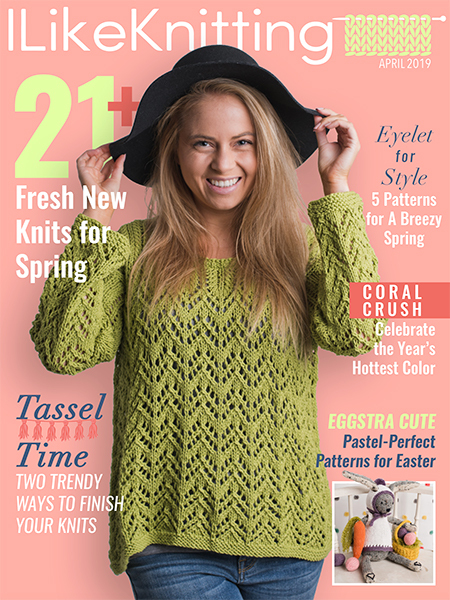 The detail strips provide a little colorwork and texture fun knit separately from the body of the cover. 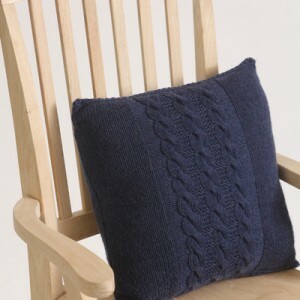 Add a bit of sophistication to your living space with this easy cabled pillow. This design features a classic cabled center panel along with a little twist in texture that is perfect for styling any room. Up your cable game by knitting this version of the Sophisticated Cables Throw. This version has five cables instead of the original three. 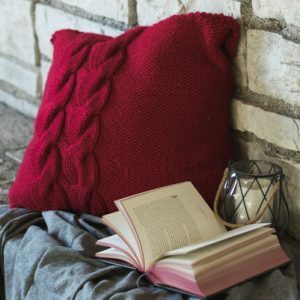 Add a bit of sophistication to your living space with this easy cabled pillow. This design features a classic cabled center panel along with a little twist in texture. 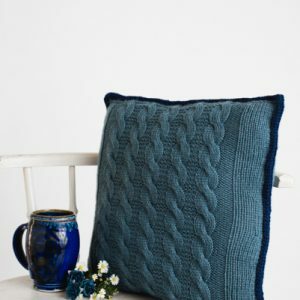 Finished with an I-cord edging in a darker blue, this pillow is perfect for styling any room. There’s something magical about the flickering of a candle in the dark evening hours. 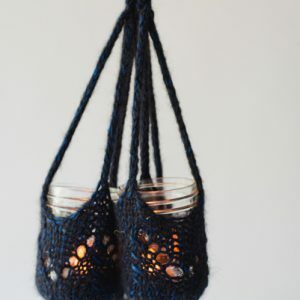 Capture this magic with these knit lantern holders that are somewhere between boho and chic. You can make a set in the weekend and they make a fantastic and unique hostess or birthday gift. Each lantern is made with an 8 oz. mason jar, yarn and an battery-powered tealight candle. This pillow is inspired as a more intricate honeycomb stitch, with cables flowing in and out locking together to form beautiful spheres. Knit in two pieces and seamed together, each piece is surrounded by a single edge stitch on each side for simple seaming. 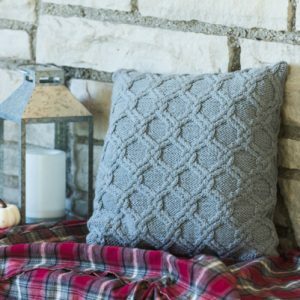 This pillow is a simple knit and a great introduction to cabling. Featuring two large cables set across a background of reverse stockinette stitch, you’ll find this pattern easy to memorize and a delight to make. This combination of simplicity and trendiness makes this a fantastic addition to any knitter’s gift-giving repertoire. 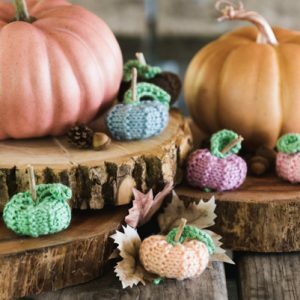 New knitters can create their own mini collection of Wee-B-Little pumpkins in traditional orange or a rainbow of heirloom colors. Knit a rectangle and seam it together to form a tiny pumpkin. Accent it with a twig for a bit of natural whimsy to decorate your home. Introducing a garland of leaves for home décor – drape it along the mantle, over a window and even down the middle of your Thanksgiving table. 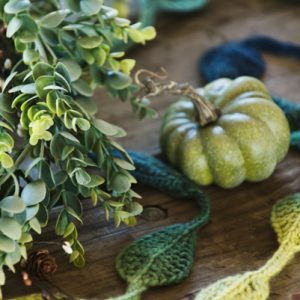 Choose a gradient yarn for multi-colored leaves that change as you knit. 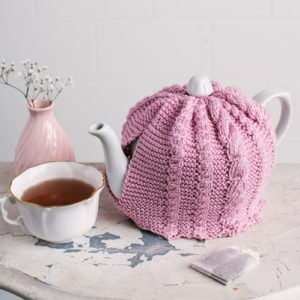 This cute and functional tea cozy is the perfect way to bring an on-trend color into your home — plus, it stash buster. Knit in two pieces, then seamed at the top and bottom, this is a super approachable project and a great introduction for for those learn to cable.